It is end of Ramadhan, the holy month. And I realized that there are so many things that I haven’t done, included 2 delayed blog postings that I haven’t published :(. There are still many things that I have not done it perfectly, although I realize well, that perfection is belong only in Him, Allah The Al Mighty. Syawal is another new start that promising purity. I really hope that Allah will give us chance to become a better person, long live to meet another Ramadhan in the future. I ask for forgiveness for all the wrongdoing and mistakes I made. May Allah accept our shaum, and made us a better muslim after Ramadhan. Ameen. 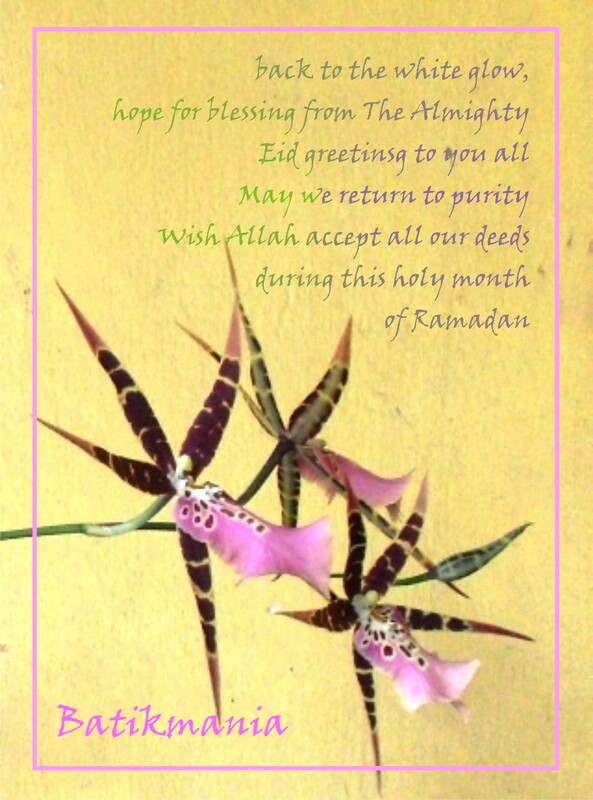 This entry was posted in Ramadan and tagged Eid Greetings, postaweek2011, Ramadhan. Bookmark the permalink.